Bonus kids patterns with lego etc. File format: .otf, .jpg for Photoshop or other software. 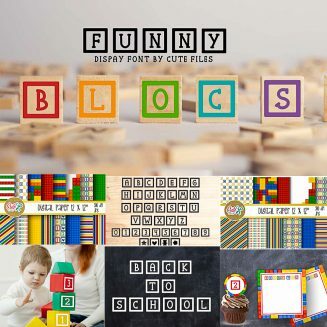 Tags: block, child, cube, cute pattern, dingbat, Dingbat Font, Dingbats, funny, lego, lego pattern, monogram, monogram font, pattern, serif, symbols.